I’ve been reflecting on how best to communicate with all of you about what Laura and I are doing here. It’s not an easy question to address. Firstly, what we are doing here specifically is a work in progress. We are teaching two English courses to Bachillerato (High School) students. We are helping out with administrative tasks. We are applying for grants, and looking for other sources of funding, so that we can keep the place financially viable. Mostly, we are trying to get to know the students, their backgrounds, their dreams and aspirations, and the barriers they face in making them reality. This is a fluid reality and every day we are gaining an appreciation of how we might be of some small benefit to the vision and mission of the program and maybe a student or two. Secondly, what Maestro en Casa is, and what it does, is very hard to understand without a feel for life here in Honduras, particularly in this mountainous region of Intibucá, and the education system. Laura and I already had some insight into the quality of the education system here in Honduras from our time at Montaña de Luz and Nueva Esperanza. It isn’t at all controversial to say that education here just isn’t very good. Children are only required to attend school through the sixth grade. The primary pedagogy is memorization and rote learning. Teachers are often not well educated themselves, many if not most only receiving a high school diploma. School is often cancelled when teachers are on strike because they haven’t received any pay, or they are sick and there is no replacement, or for a variety of other mysterious reasons. Children often do not learn the curricula, but end up getting passed to the next grade. The end result of all of this is that students don’t appreciate the role of thinking when it comes to learning. Please don’t misunderstand what I am saying. Hondurans think very well. They are extremely intelligent, resourceful, and creative. But because of the burden of an extremely substandard education system, learning as a product of an independent, curious mind, is simply not supported or valued as it could be. Why is it like this here? I wouldn’t profess to know all the reasons for this, but the role of poverty and its mirror image of oppression are obvious culprits. The resources simply don’t exist. 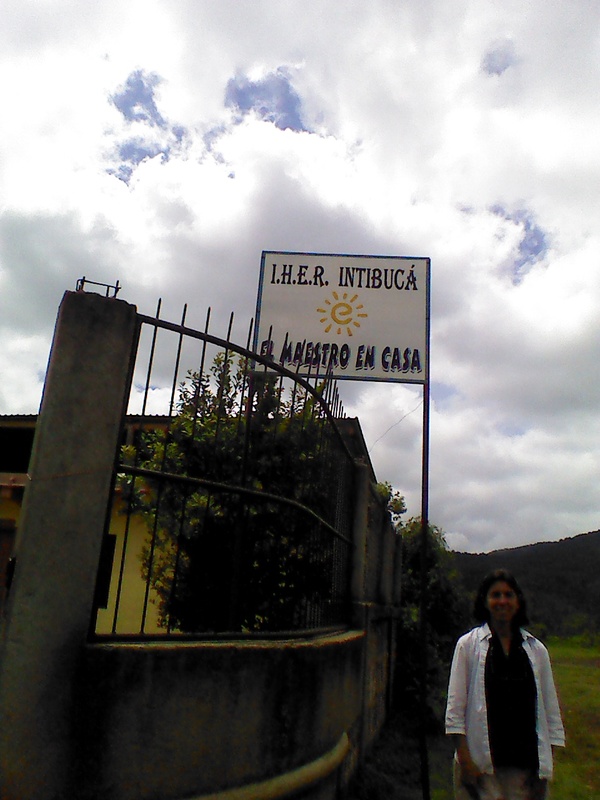 Twenty-five years ago, Sister Marta Eugenio Soto (it seems there is always a nun behind innovative social programs) founded Maestro en Casa in Tegucigalpa. She established it in an attempt to bring education to poor, isolated campesinos who had come to the city because they could no longer survive on their small farms. Maestro en Casa (Teacher in the House) is its common name. 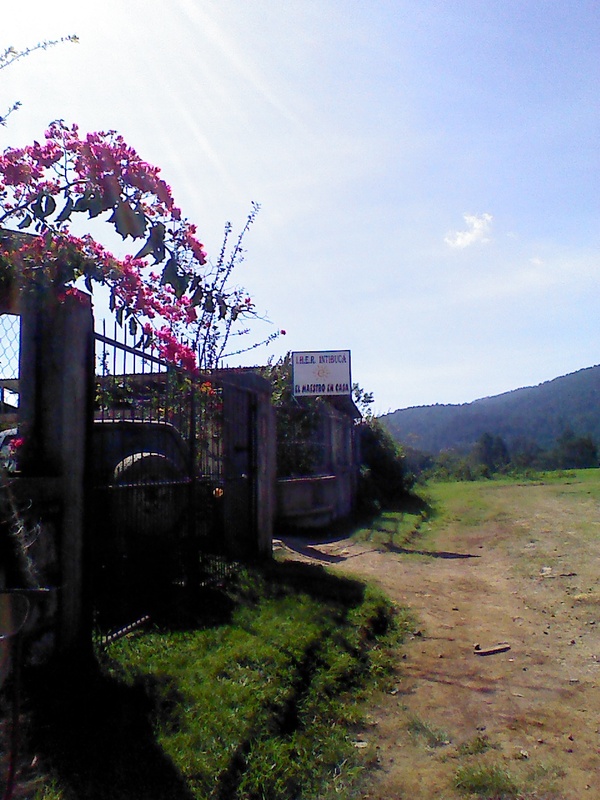 Its official name is Instituto Hondureño de Educación por el Radio (Honduran Institute of Education by Radio), IHER. From seventh grade through High School, once a week students come to a class. Often this is the only school they can get to either because no other school exists beyond the sixth grade, or work and family duties preclude them from going every day. The expectation was that on the other days they would be reading materials, studying, and that curricula would be supported by radio programs. The radio component of the program is, unfortunately, long since defunct due to lack of adequate funding. Still, the program has had great success and has spread throughout Honduras and has also taken root in Costa Rica and Guatemala. Laura and I live in a small city and enjoy urban amenities. We can walk down the street and purchase our groceries and household items at one of many small stores or the farmer’s market. We can go out to dinner. We seldom loose our electricity (relatively), and we have running water (every other day). But this small city only exists because it is supported by a legion of small aldeas spread out around its periphery. The people living there bus themselves into this city regularly in order to stock up on supplies. Two kilometers outside of the city in any direction the roads are no longer paved and they wind themselves through mountain passages and tracts of farmland. Thousands more live there than here, and they do so without electricity, without running water, and generally without schools. Almost all of them trace their heritage to the indigenous Lenca. They maintain traditional customs and are farmers. It is mostly this community that our program of Maestro en Casa serves. If it wasn’t for our program, many, if not most, of our alumni would never have extended their education beyond the sixth grade. A great many of our graduates have even gone on to higher education. It is clear to us that Maestro en Casa provides a vital and meaningful service. To be honest, it is a very small percentage of young people that benefit from what we offer, about 350. But we are one of the very few opportunities for those who really want it. It is impossible to measure the benefit. But both symbolically and concretely, Maestro en Casa makes a difference. It is not without its challenges, and I’m sure that in the weeks to come I will relate many of them to you. Still, it is very exciting to be part of something that is so clearly important in the lives of the people we meet and to the larger community.